Industry leaders and experts are very valuable commodities in the niches they represent. Their insight and knowledge can help push brands to the forefront in their fields, making it easy for businesses and firms to position themselves as leaders. This knowledge, however, doesn’t automatically translate into success or even good content. Many experts lack the ability to properly convey their knowledge through online mediums, meaning that there is ample need for copywriting and blogging services that cater to professionals. Why would a professional need to rely on such services? We’ll talk about it below so that you can make the right decision for your brand. Unless you’re an expert in the field of writing, you’ll be entering an entirely new territory where your knowledge will only carry you so far. In the case of professionals who are wanting to share their knowledge with the rest of the world, a hands-on approach from a seasoned writer is an absolute must. There are different types of writers who can handle various subjects, whether they be abstract or technical in nature. What is universal, however, is the need for someone who understands the ins and outs of captivating an audience, selling a point and otherwise connecting in a meaningful way with readers. Even the best professionals in their field may fail at doing this in written from, so it’s best to consult with a blogger or writer before pinging URLs to pieces online. Another common reason why experts should rely on writing services rather than going it alone is the nature of SEO. In order to ensure that the content is seen by the largest number of people, search engine optimization tactics must be utilized. Many copywriters and bloggers are aware of these dynamics and know how to customize content to ensure search engines find and promote it. If you merely begin writing content – even if it is a great piece – there is no guarantee that it will be visible in search engines and other places where people who are interested congregate. By relying on the services of someone who understands SEO, you eliminate another possible hurdle. Most professionals have very little free time to spend on crafting the perfect content. Rather than delving into the minutiae of writing, you can instead sit down with a content creator and summarize the key points you wish to cover. With highly cost-competitive services available, it will likely be worth your time to outsource this instead of fretting over every little detail yourself. Just be sure to enlist the services of someone who is willing to do the required research and investigation when creating said content; sometimes, a low price is just too good to be true. 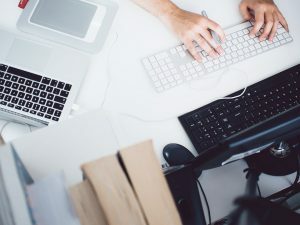 Whether it deals with pinging URLs in an optimized fashion or just saving time, there are plenty of reasons for experts to rely on a copywriter or blogger instead of doing the work themselves. This will ensure that quality content is created, sanity is maintained and overall investment is kept to a minimum. Have you ever outsourced work before? If so, tell us below about the experience.